Optiv has the proven ability to look at a client’s security and privacy program holistically while also ensuring relevant industry regulations and compliance requirements are met. The General Data Protection Regulation (GDPR) came into effect in May of 2018. GDPR impacts organizations residing in the European Union (EU) as well as those that merely transmit EU citizen data, and global companies are working frantically to comply with this sweeping regulation. Adding to the complication, GDPR affects departments enterprise-wide, requiring them to work cross-functionally across the organization. 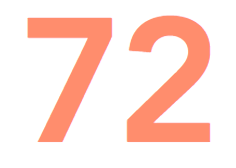 Number of DPOs needed to satisfy the GDPR requirement in the U.S. Maximum number of hours allowed to report a security incident once it has been discovered. 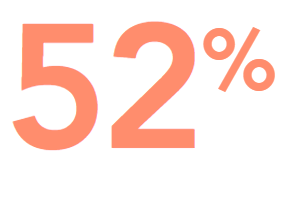 Percentage of U.S. companies reporting they possess EU citizen data and are therefore subject to GDPR. Data Governance – Understand GDPR regulations as it relates to the business and then activate a plan to meet those obligations. Data Classification – Analyze what data is relevant to GDPR and develop a proper classification scheme for ongoing data management. Data Discovery – Determine where sensitive data is stored across your environment and set up policies and procedures to manage it. Data Access – Recognize who has access to data and set up policies and procedures for access management and governance. Data Handling – Prepare for the chance of an incident and ensure that plans are in place to meet GDPR obligations regarding the handling of sensitive information. Data Protection – Plan, build and run an appropriate security program for the protection of sensitive information. GDPR Part 1: A Legal, IT, or Information Security Issue? Who Leads the GDPR Charge? Is the General Data Protection Regulation a legal, IT or security problem?